After my visit to the Smithsonian I popped over to New York to spend some time at the AMNH. As luck would have it, the special exhibit The World’s Largest Dinosaurs had just opened a few weeks ago. 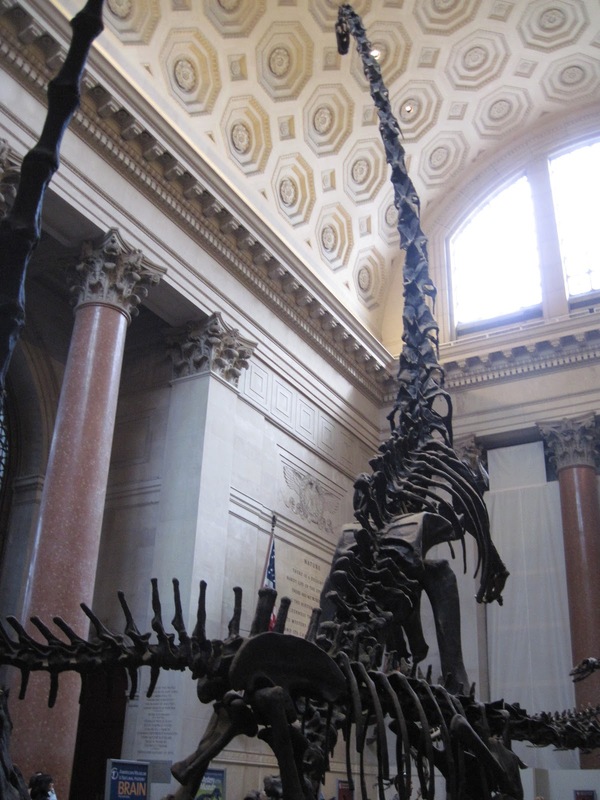 The fossil halls at the Smithsonian were great fun, but do you know what might have been my next most favourite hall? The Hall of Bones! I am not sure I have ever seen so many non-mammal skeletons on display. 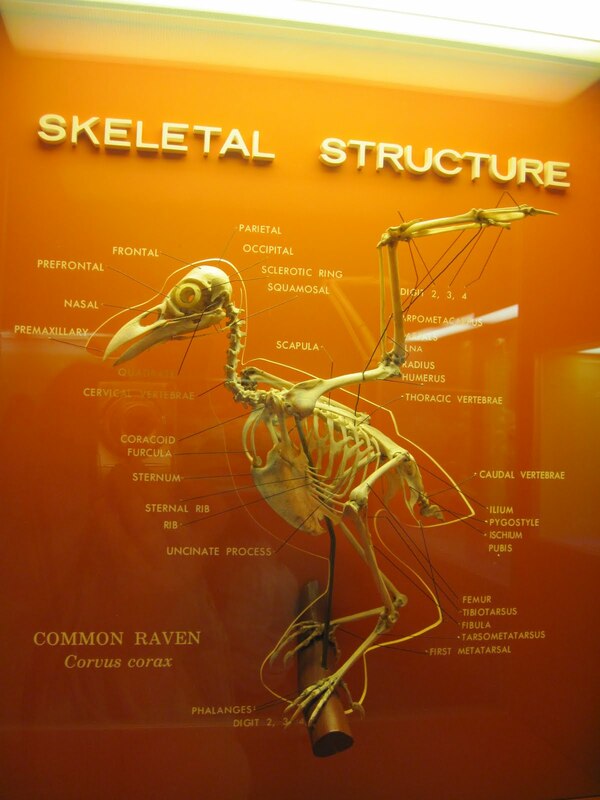 I also liked how a lot of the displays highlighted anatomy and functional morphology. The whole thing was just deliciously old-school museum in all the best ways: detailed, focused, and elegantly presented. In a way it was like stepping into a 3-dimensional anatomy textbook, but more fun because here are the bones right in front of you that you can see from all kinds of different angles, and compare easily. Look at that…whatever it is. I had an unsettling moment today when it occurred to me that, perhaps, people don’t learn anything from museums. Some congratulations are in order for my fellow grad student Phil Bell, who successfully defended his PhD thesis today! Phil’s thesis is titled “Systematics and palaeobiology of the crested hadrosaurine Saurolophus, from Canada and Mongolia.” He’s been working for the Philip J. Currie Dinosaur Museum (previously the River of Death and Discovery Dinosaur Museum) since last fall. Bell PR, Evans DC. 2010. 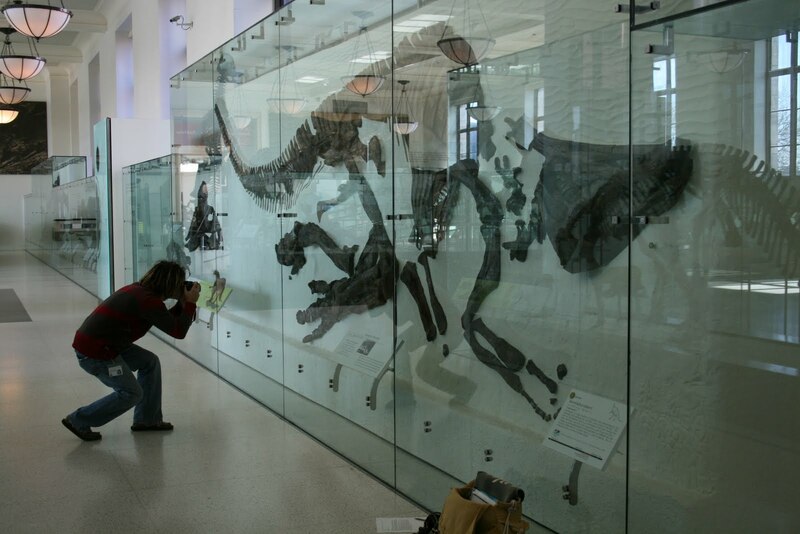 Revision of the status of Saurolophus (Hadrosauridae) from California, USA. Canadian Journal of Earth Sciences 47:1417-1426. Bell PR. 2011. Redescription of the skull of Saurolophus osborni Brown 1912 (Ornithischia: Hadrosauridae). Cretaceous Research 32:30-44. Bell PR. In press. Cranial osteology and ontogeny of Saurolophus angustirostris from the Late Cretaceous of Mongolia with comments on Saurolophus osborni from Canada. Acta Palaeontologica Polonica.